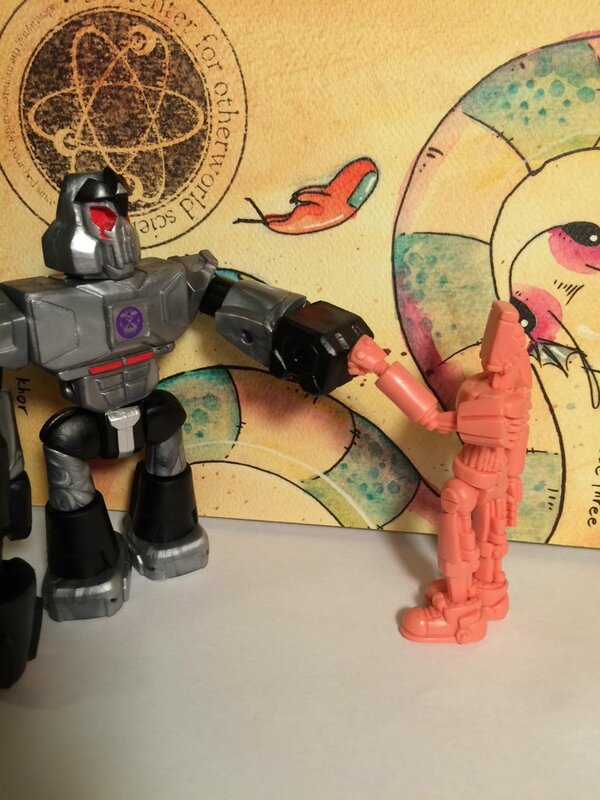 The Glyos Connection • Nemo's Factory: A/V Robots! 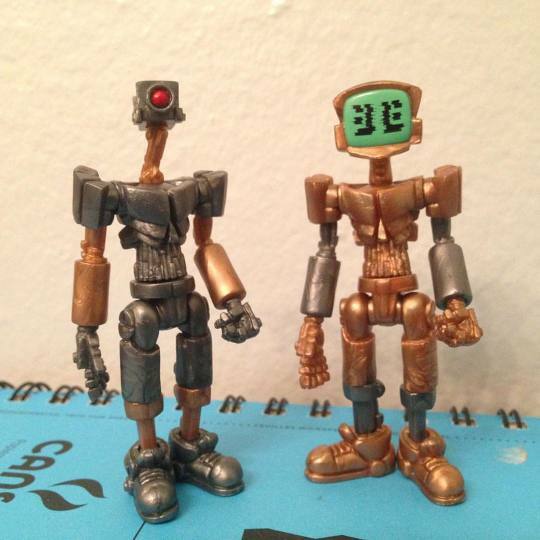 Got my first robots today! Awesome stuff. 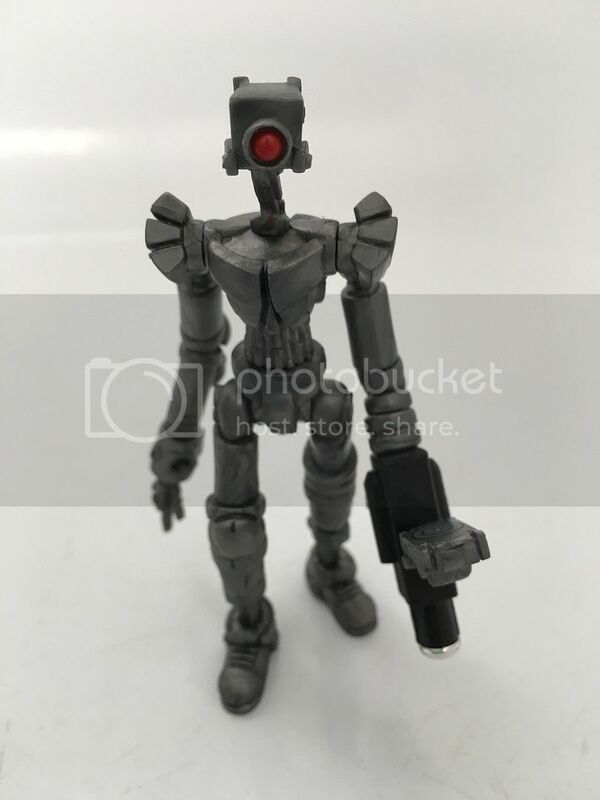 I grabbed a spare ultra bronze for painting as well but I haven't decided what it will be yet, I thought of doing Canti but I'm betting we'll see the toy in sea green at some point for that homage. I don't want to just add detail on that one, looking to do something completely different visually with the toy. Digging the cracked screen effect! That should totally be an actual tampo Nemo does! I got some glow in the dark spray paint and I'm thinking of painting one of my extra with it but I'm doing if I should just paint the screen or lightly coat the whole body? Or both? 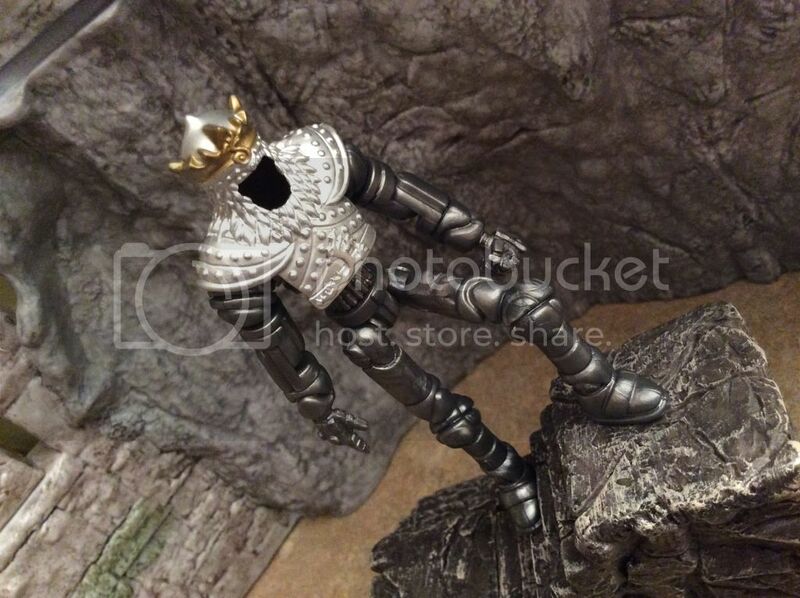 Nemo's AV Robot torso, hips, thighs and those awesome hands make this fisher price/Glyos wraith king a quick easy build. Just got my guys in! Nemo, you are freaking win! Thank you so much for including an extra guy! Plan to customize the hell out of it soon! Undrave wrote: I got some glow in the dark spray paint and I'm thinking of painting one of my extra with it but I'm doing if I should just paint the screen or lightly coat the whole body? Or both? Ohh, I'm liking the glowing screen effect. So much so, I'll probably borrow your idea. 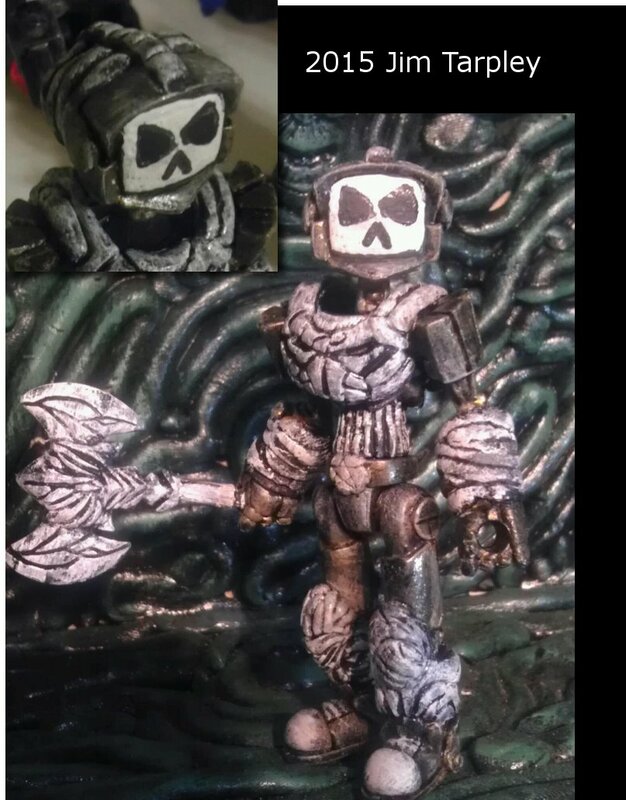 Balok wrote: Nemo's AV Robot torso, hips, thighs and those awesome hands make this fisher price/Glyos wraith king a quick easy build. TJ, the things you can do, man. Short of cutting into the plastic, those cracks are the best means of conveying the effect I've yet seen. ...duuuuuuuude. 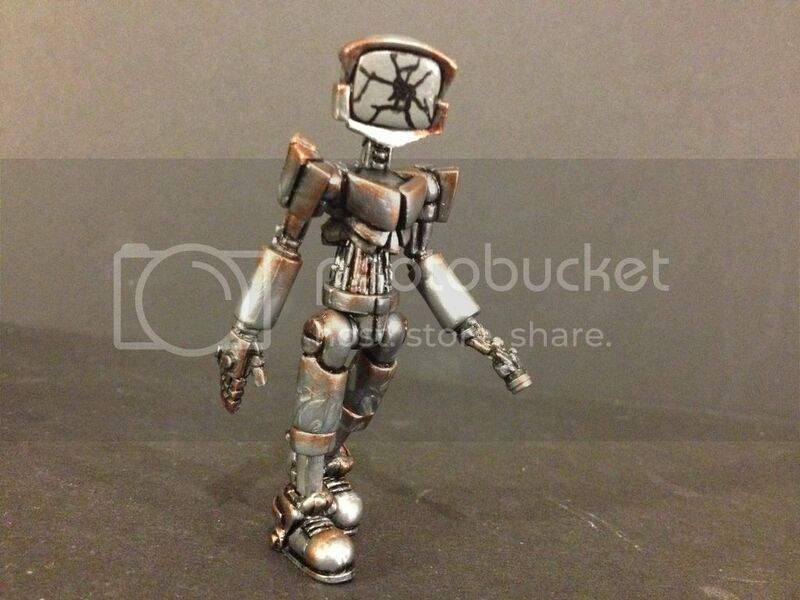 Now I kinda wanna build that without the cowling, just for a good ol'-fashioned creepy emaciated robot. 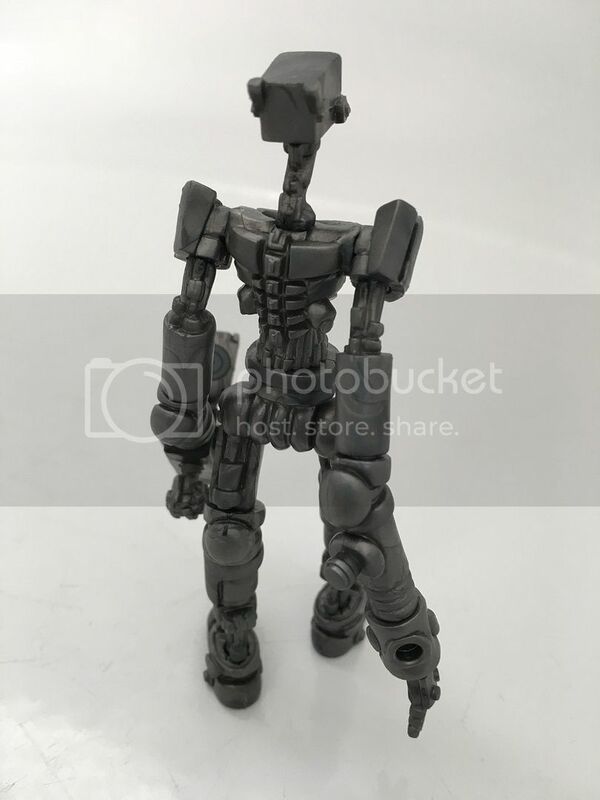 Since TJ mentioned it, I created a colorization of the homage of Canti. 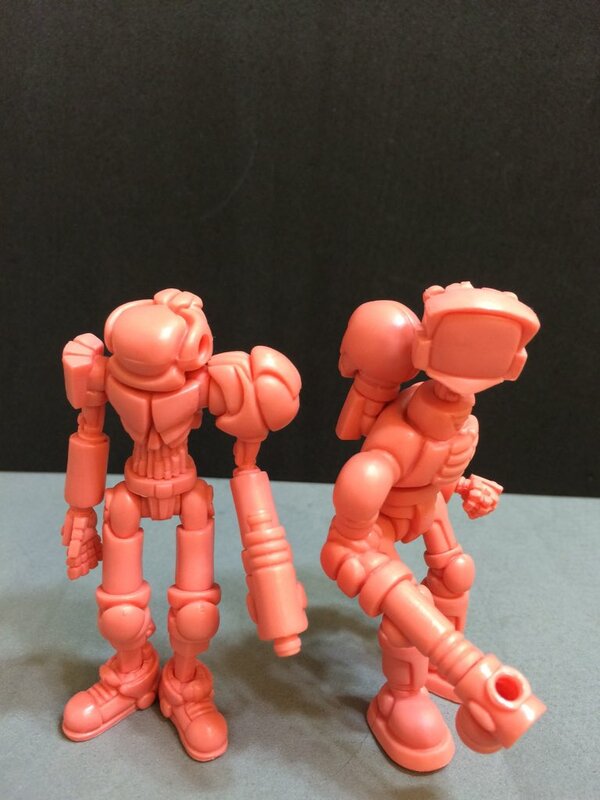 I love these guys, but it would be cool if the hands were modified so they can hold the alternate heads as accessories. An incredible custom by Nemo himself. I fully intend to replicate the build, but may have to leave the heavily light-piped paint job to the master. AV Callgrim. The Cathode Order is small but fearsome. 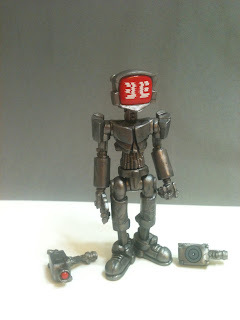 Friday the 4th (today), D-con AV Robots release! Wednesday the 2nd, D-con Weaponeers released! just placed my order - a clear & a gunmetal. can't wait! Nice! Hope these stick around for a few days. I want a couple to customize. Mutt12 wrote: Nice! Hope these stick around for a few days. I want a couple to customize. Looks like they will! I eagerly await seeing what you'll do with them! 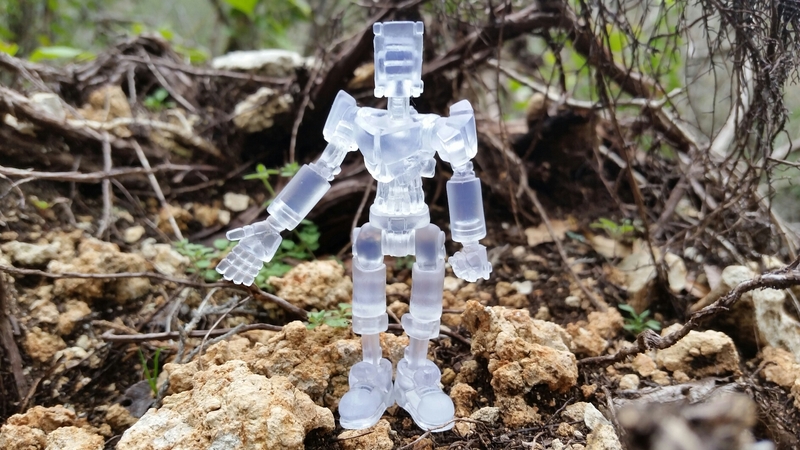 Took my clear A/V robot to the forest today. 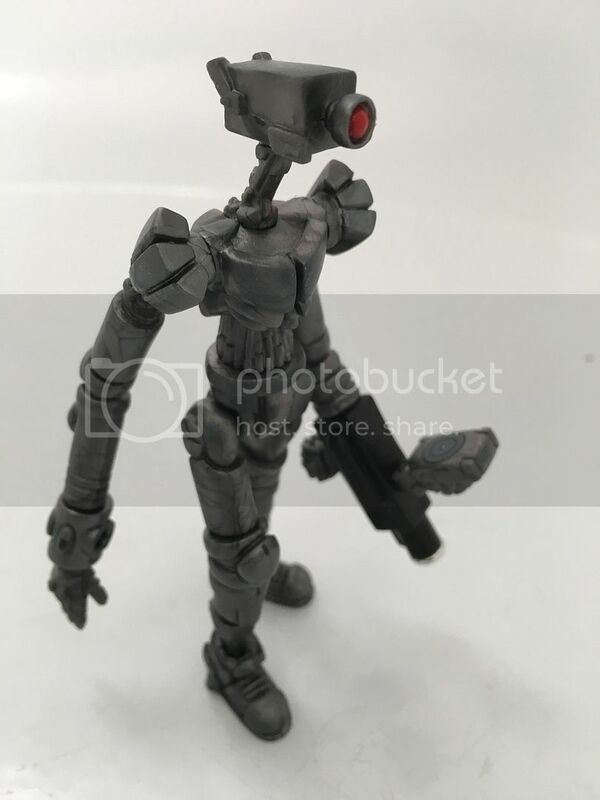 Combined Gunmetal A/V with a Eyegee Callgrim, looking pretty awesome! Like a Ape armed Surveillance Bot. More information and full reveals coming soon. 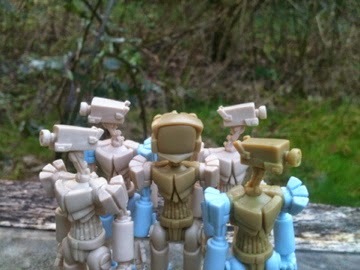 New AV Robots release tomorrow! 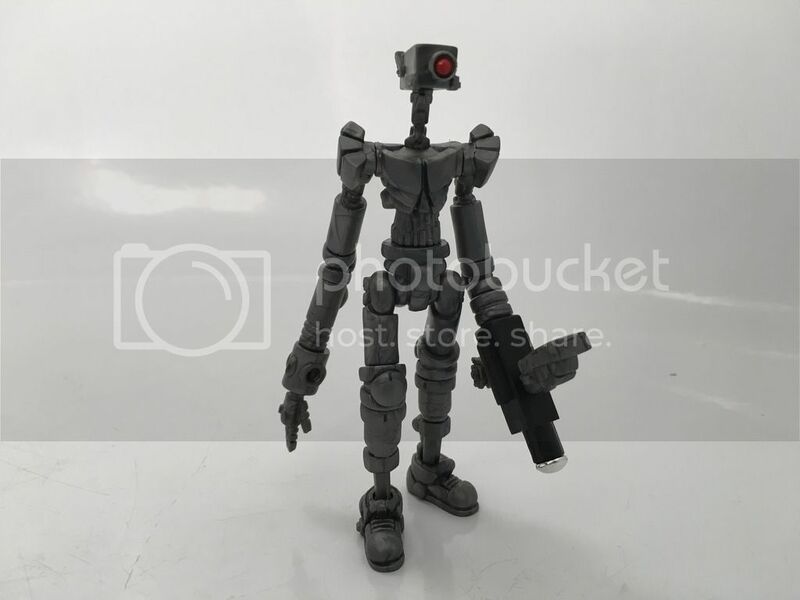 Gendrone Purple- BiOS Allegiant and Classified Black- Classified Agent, are gonna be in the store 4/18 6:30pm! Perfect colors for building and befriending, I hope y'all come check them out! Pics and lore found at nemosfactory on instagram. 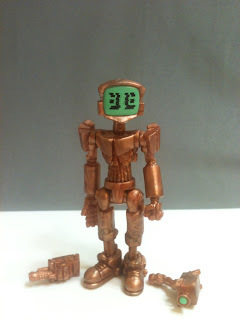 I came pretty late to the Glyos game, barely over a year ago, and one of my first 10 figures was the ultra bronze AV Robot. He's always been one of my faves. So glad to have you back, Nemo!